John joined JBWere’s Philanthropic Services team on its establishment in 2001 after 16 years in resource equity markets. His primary responsibilities are researching and analysing trends in the philanthropic sector; interpreting the findings to provide valuable insights for clients; and forging relationships between clients with a philanthropic interest and the not-for-profit sector. After retiring as a Principal and Executive Director of Goldman Sachs JBWere, John has been able to devote more time to both his family’s interests in private philanthropy through a Private Ancillary Fund (PAF) established in 2004 and broader education through independent consultancy in the sector while still undertaking research and client advisory work for the Philanthropic Services team at JBWere. 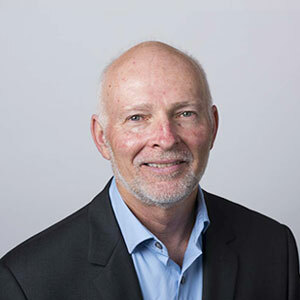 John serves on multiple Boards, including the Philanthropy Australia Council, in a fiduciary volunteer capacity and is the co-author of IMPACT – Australia: Investment for social and economic benefit and is the author of The Cause Report – 20 years of (r)evolution in the not-for-profit sector.